Bringing a Māori world view into the workplace has a competitive edge nationally and internationally, as the next generation of consumers purchase based on knowledge of a product, its integrity, minimal impact on the environment, and safety. The BDO Whānau consists of more than 750 people across 15 offices spread throughout the country. We work with businesses on a day-to-day basis across all industries, and we take pride in assisting these entrepreneurs so they are the best they can be. The work we do for Whānau-level businesses is our bread and butter. We understand that these businesses often have cost constraints, and any accounting or taxation work we undertake for you will be done quickly and efficiently. We can also assist with funding, business mentoring and support, so that even the youngest entrepreneurs can see make their Whānau proud. 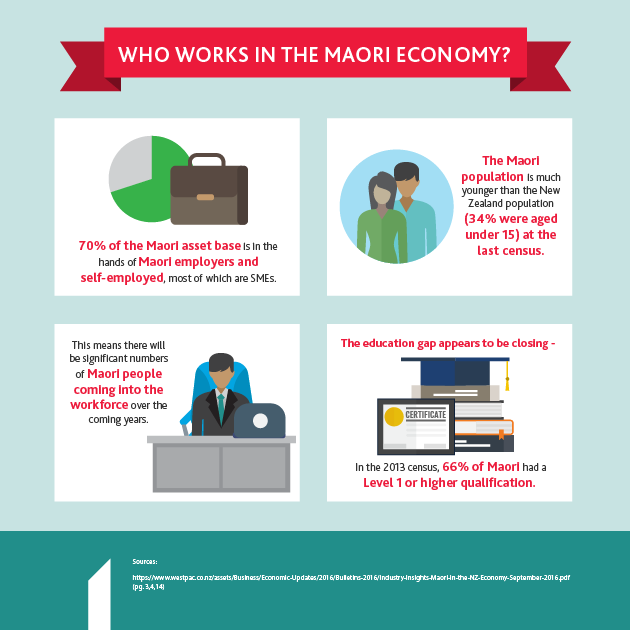 For the Māori economy, the opportunities are endless. There are always new ways to invest, new industries to get into and new markets to sell to. As you make a profit, so too will you sustain the people and the planet, and make a positive difference to the land and the communities you operate in. At BDO New Zealand, we have a true passion for the work we do with you. We're proud to support a sector that cares so passionately for the world around it, and we'll be with you every step of the way. For more information on how we can help your Māori business succeed, contact one of our specialist Māori business advisers today. "We continue to be delighted with the service we receive from BDO, in both their customer care and high professional standards." Te Taiwhenua o Heretaunga is an innovative, values-based and family-focused organisation. Our health, social, education and community development teams have been working successfully with whānau across Hawke’s Bay for the past 30 years, helping them to achieve best outcomes. Te Taiwhenua o Heretaunga has worked with BDO for many years. We continue to be delighted with the service we receive from BDO, in both their customer care and high professional standards. I can attest to their experience and professional standards working with a Māori organisation, not only as the Taiwhenua auditors over many years, but also for the Te Manaaki Taiao Ture Paewhenua programme. This has required BDO to engage with 12 Heretaunga marae and whānau, and provide financial management and investment workshops to help build their readiness to receive Treaty Settlement monies. I have no hesitation in recommending BDO to any other Māori organisation. I am confident their professionalism, respect, flexibility and understanding will be maintained wherever they are engaged. From rockets to retail: Where will the Māori economy go next?